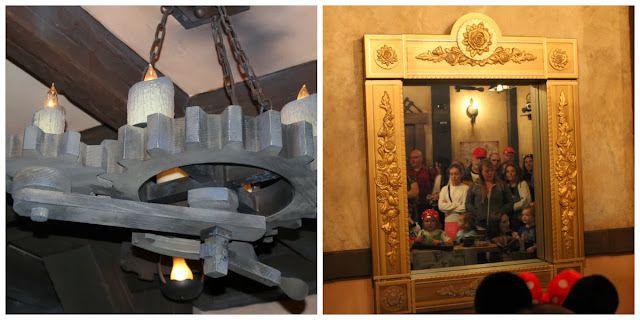 We missed this attraction during our February trip and knew we needed to make it a must-do for our short November trip. I had heard a few things about it, but didn't know much, other than the long wait times. We had our multi-family FastPass+ reservations for 2 p.m., so after a full day of attractions, lunch, and enjoyable Magic Kingdom time, we hit this as the crowds were reaching their height in the parks. There were a LOT of people in Fantasyland! Luckily, with our FastPass+, we headed straight there and waited under 5 minutes until we entered Maurice's Cottage! Inside the cottage is quaint and charming - everyone is squeezed in facing a beautiful mirror! 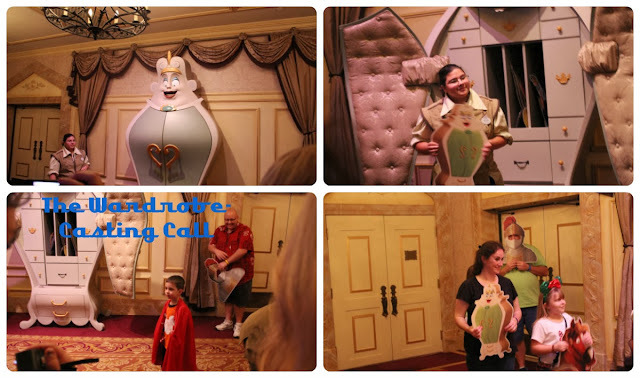 After the introduction, we were magically transported into Beast's Castle where we met the wardrobe - and for our casting call!! During Enchanted Tales with Belle, just about everyone interested gets a 'role' to perform - to tell a story! My little man was actually chosen to be the Beast! And, Melissa became the Wardrobe! Big and small, there are enough parts for everyone! All of the characters and the story audience than enter the Ballroom of the Castle - and quickly, Belle entered to greet us! Belle and Lumiere welcomed us before they started telling us our Enchanted Tale! Unfortunately, when it came time to meet the Beast, he became a little camera shy and gave up his robe! Belle tried to coax him into being lovable, but the loudest boy in the room put on his shy face for the pretty Princess! As the grand finale, Belle and her handlers invited all of the cast (and other children in the room) up for a quick meet and greet! My 4 year old vetoed meeting all face characters this trip (loved the 5' mice), but my 18 month old, while not overly warm, didn't seem to mind me dragging him along! 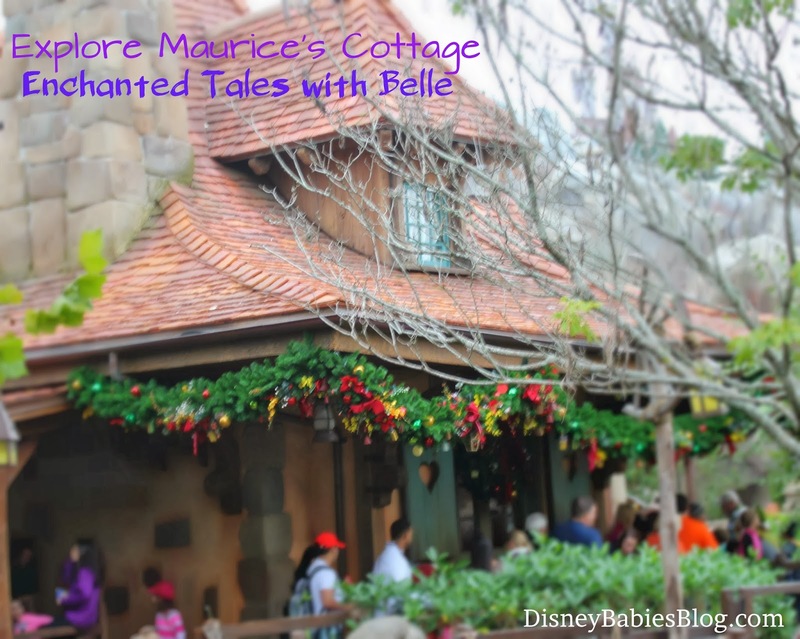 Have you tried Enchanted Tales with Belle yet? What did you think? This looks so sweet! And now I know to get a Fastpass in May - thanks.